icecrown – Welcome to Spinksville! 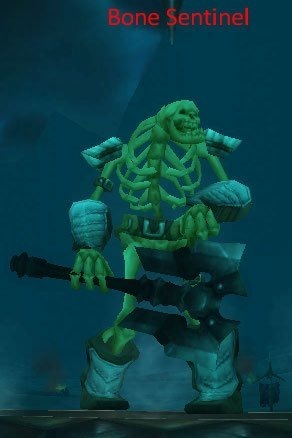 You might think to look at this screenshot that you were looking at a simple, everyday, giant skeleton of the sort you might find anywhere in a MMO. Here it stands in its natural habitat, on eternal watch, waiting for an adventurer to come past and pull it to its inevitable death animation. But there is something different about this particular type of mob in WoW. It’s a new breed. Placed in Icecrown, one of the end zones in Wrath where it is assumed that the player will have a flying mount, this mob is designed to be flown over rather than killed. I killed one and it didn’t drop anything and it also did not provide any experience. Ladies and Gentlement, I present to you … the decorative mob. Be nice to it, it may be the herald of a new (aka old) immersive era of zone design, in which mobs are placed because they look right or they should logically be there, and not just to drive quests. Joking aside, that’s quite an old school approach. 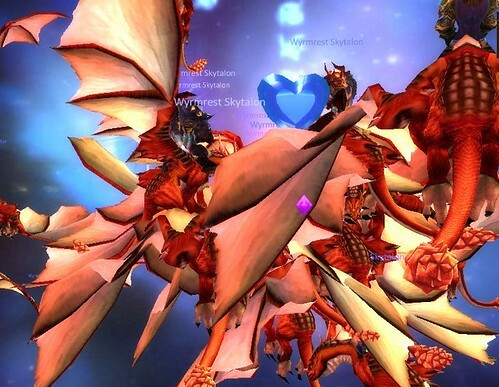 Older MMOs often placed mobs without any intention that players would kill them. But it’s uncommon in WoW. Would you rather be Frodo or Aragorn? 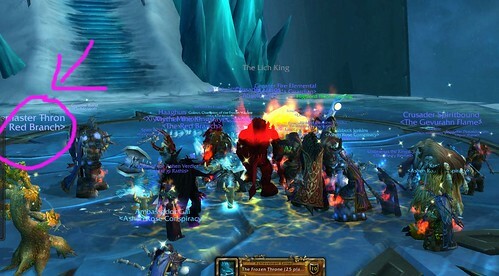 In the next Wrath patch, Blizzard announced that players will have the opportunity to face down The Lich King himself in a 5 man instance. On cue, the outraged complaints began. How can the end boss of a whole expansion possibly be epic if you can fight him in a (casual friendly) 5 man instance? Surely he should be a raid boss? But I don’t see that myself. Going back to Lord of the Rings, who has the more epic adventure? Frodo and Sam sneaking into Mordor on their own to destroy the ring, or the rest of the Fellowship who get to ride with the great armies, participate in world changing battles, and do valorous deeds? They are both epic and exciting adventures which turn the course of the story. It’s been commented before that Icecrown bears a strong resemblance to illustrations of Mordor. 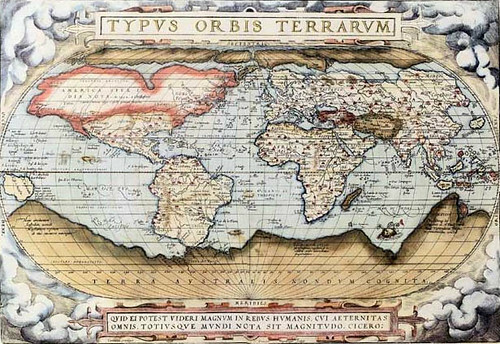 Is it so hard to imagine that the parallel goes deeper? After all, why mess with a winning formula? (And not messing with winning formulas is one of the things that Blizzard does best.) And using important lore characters in group instances was one of the ways in which LOTRO really brought their epic storyline to life. I don’t remember players in that game complaining that it wasn’t ‘fair’ or ‘epic’ that they got to fight trolls alongside Legolas, or talk to Frodo in Rivendell before the fellowship departed. I think Blizzard will take the easier route and although the 5 man encounter will be meaningful in terms of story, it won’t actually allow the 5 man group to defeat Arthas. But I can’t help wishing that they could. 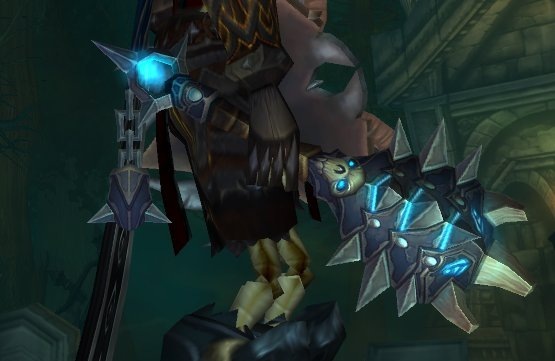 It wouldn’t stop the raid instance from being epic and exciting if we knew that some brave adventurers were also sneaking into Icecrown on a bold but uncertain mission to weaken our foe so that our strike would be successful. I wrote earlier this week about one of the Icecrown quests in WoW. I decided to complete more of those quests on an alt to remind myself of the storylines that had gripped me when I first ran them on my main, many months ago. After all, patch 3.3 may well pick up those loose ends; loose ends that haven’t really been touched since Wrath went live, which is not one of Blizzard’s best storytelling decisions. As Rohan noted, usual screenwriting rules would require that the bad guy be in the ascendent when the last act of a three-act play begins. Instead we’ve beaten the Lich King on every encounter and taken time out to destroy an Old God and do some jousting en route. Despite that, I’m excited to see what lies in store in patch 3.3. I’m looking forwards to venturing into the new 5 man instances with my friends and fighting a variety of scourge baddies alongside my NPC faction leader. I’m looking forwards to the new raid and to finding out how the Lich King storylines draw to a close, or at least to a new start. So my current goal is to redo all of the Icecrown quests on an alt before the patch hits so as to refresh my memory. 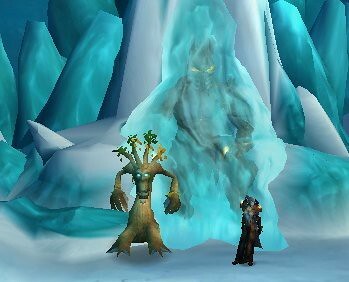 Icecrown features some of the smartest and most advanced storytelling in WoW, or any MMO I’ve seen. The storylines are personal, they’re epic, and they interact with both the greats and the big bads in Warcraft. There is phasing, flashback sequences, insights and revelations – yes it’s all wrapped up in kill 10 rats but it represents an extraordinary effort to stretch that quest paradigm as far as it will go. But there’s one quest in particular that draws out a response from me. The storyline begins when the head of the Argent Crusade (an organisation influenced heavily by paladins) sends you to find out what happened to one of his men. And when you do find him, the man is grieviously wounded and sick with the scourge plague – which will turn him into a scourge zombie after he dies. When you report this, the Argent Crusade take a ‘no man left behind’ approach. The guy is a noble fighter who risked his own life to save others, surely some power in Azeroth can save him! And so you head off on a quest to speak with the most powerful good-aligned beings in the game world to see if any of them can help. And in between you take their messages and aid back to the fallen hero, and every time he thanks you and asks you to leave him where he fell so he at least can’t infect anyone else. Finally you speak to the Naaru who are the personifications of light in the game. And you are told that they can’t cure the plague but they will guide his soul after death so that he won’t be remade as a zombie. So the hero dies and the Naaru appear, as in this screenshot. His spirit drifts upwards towards them in a pillar of light. I was impressed, but coldly furious. Why do they only do this for the best of the paladins and after a personal intervention and plea? The whole of Icecrown is full of brave soldiers who died for the light and got reborn as zombies, maybe the Naaru could pull their collective fingers out just a little bit more and do something for them also. I was moved by it also, but still … the sense of outrage at the unfairness lingers. Especially since my character is a forsaken warrior and no naaru ever came to save her from undeath! (Admittedly there would not be much of a game if they had.) In a sense this questline is probably the most noble thing Spinks has ever done in her entire unlife — running all round the world to try to save a complete stranger from the fate that she befell herself. If nothing else, it makes you think. And I believe it was key to the design here that when you act for the Argent Crusade, your character shows some nobility of spirit (until you get to the tournament at least.) It’s intended to shine a light in the moral greyness of Northrend. I’m inclined to immerse myself in the gameworld anyway, given half a chance, but I was surprised by how strong a reaction I had to that storyline. It is perhaps the most overtly religiously influenced experience in the game, but it doesn’t really reflect my religion. I suspect that I balked at some of the assumptions without really noticing what was going on. 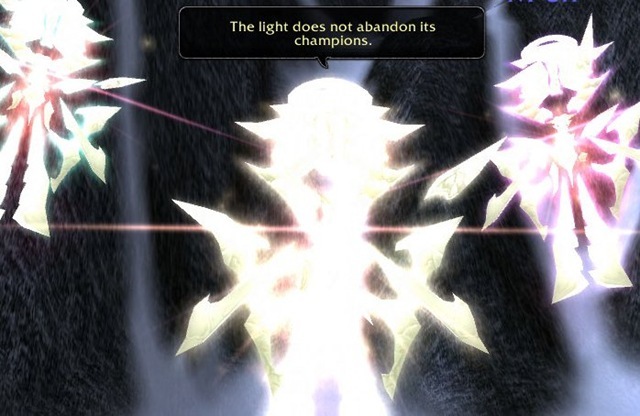 The Light is a sort of Christianity with the numbers filed off (standard paladin fare, really) and I wonder whether people would react differently to that questline depending on RL beliefs and culture. What’s a good size for a raid instance? This will easily make Icecrown the largest raid instance in WoW. By comparison, Naxxramas has 13 bosses and when it first came out in vanilla WoW, the raid lockout was set to 14 days rather than the usual 7 in order to give raid guilds a chance to beat the last boss before the expansion came out. Ulduar has 14 bosses, of which three are optional and one is only accessible once you have beaten all the keepers on hard mode. Now I find that the ideal size for a raid instance is one that can keep our raids happily occupied for a whole number of nights raiding. So I don’t want to spend a full night raiding and kill everything except the last boss which we have to leave for another day because we didn’t have time. I also don’t want to feel pressed to run more than two raids a week. But, the time it takes to clear a raid instance depends where you are in the cycle. You get quicker as raiders get geared up and learn the instance. Based on that criteria, both Naxxramas and Ulduar are just a little bit too long as they are now. We always struggled to get Naxx down within three hours — by the time we had a team that could clear it in that time, most of them were overgeared so people preferred to bring alts. 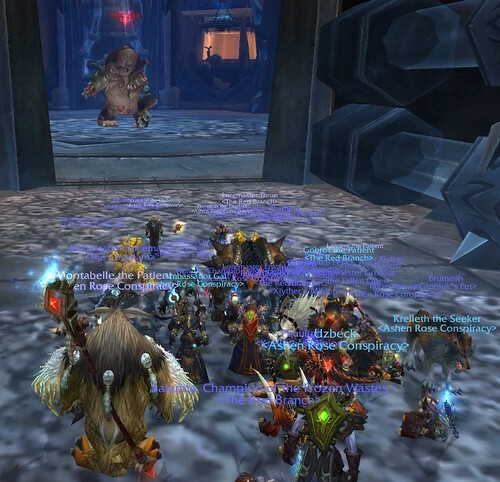 At weekends, when we could plan slightly longer raids, we could do it (and did). And currently we’re struggling to get Ulduar down in one session at the moment. (Props to our 10 man team who killed Yogg-Saron for the first time last weekend!) One less boss in Ulduar would have made the scheduling a lot easier for us, is the truth. Maybe if they’d cut Kologarn and his trash. Or Auriaya. Or else they’re not long enough. With a few more bosses, we’d have enough content to fill two nights of raiding. And that would present another problem, because we run the 10 mans as a sideshow to the 25 man runs. And not everyone wants to run two nights of 10 man raiding as well as the larger raids. So every raid group probably has its own views on how long a raid instance should be. They’d like enough content to fill their current schedule comfortably — no more, no less. Adding in hard modes and optional bosses definitely does give the raid leaders more options and I hope that Icecrown will go this route too. We may even see more flexibility on the raid lockouts, and more wings and locks inside the instance. I know I’m intrigued as to how Blizzard can make an instance that large and still keep it accessible to more casual raid groups. What’s your ideal raid size, if you raid? Do you find that Ulduar is just one boss too long?